What the Conservatives under Mrs May continue to demonstrate is their complete lack of understanding – or perhaps they don’t care – of who is actually bearing the brunt of their austerity policies. Most importantly who in the families they claim to be supporting are having to deal with the impact of the Governments policies on household incomes. 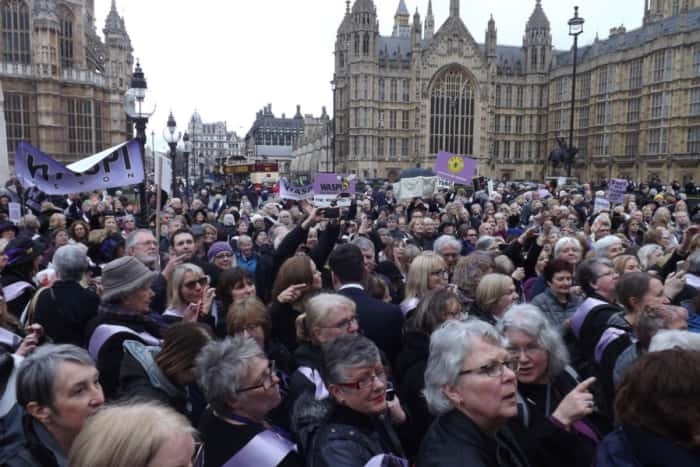 Mrs May and her self-serving cabinet and MP’s have avoided the issue because to do otherwise would be to admit that the target – perhaps unintentionally – and those most affected are in fact the mothers. I’ll no doubt be castigated by the Conservatives and not for the first time be accused of “pulling at the heartstrings” when speaking up for those who are facing a poverty trap that has come about because of their policies. It is the attitude of a Conservative party who are completely out of touch with reality and in fact don’t – whatever they say – care believing that poverty and homelessness are a price worth paying rather than admit they are wrong. Or perhaps it is even more basic in that the Conservatives have consciously developed callous and cruel policies that are designed to continue to increase their own wealth and keep the “people” in their place. What or who are ordinary? and why are the Conservatives – and to be fair the other political parties who are using a variation of it – so keen to portray themselves as supporting “ordinary” people when in fact parents loving and providing for their families are anything but ordinary. Perhaps it is because Members of Parliament see themselves as special and therefore anything but ordinary? In my experience – as an “ordinary” son and husband – the Conservatives – and any of the political parties – should be conscious of the reality that in messing mothers they are messing with a formidable foe. We all, or at least those of us who live in the real world, know that mums do amazing things and yet they are the very people who are being hit the hardest by the Tory Governments tax and benefit policies. It is overwhelmingly the mums who are having to have to deal with seeing the household budgets of their families not only squeezed but in fact decimated. The attitude of “it didn’t do me any harm” doesn’t recognise that things have changed since the 1940’s which is something the ‘nasty party’ doesn’t appear to want to understand, preferring to demonize anyone who doesn’t agree with them. As the Conservative cuts have taken hold it is the mums who have had to juggle the ever dwindling household budget to try to keep a roof over the family’s head, keep it warm and put food on the table. It’s an impossible situation that has led to increased homelessness and health problems which ultimately will lead to increased taxation to pay for the outcomes of the Tories policies but even more importantly a breakdown in families and sadly because of the strain domestic strife. It will be interesting to see how the Tories who refuse to accept the consequences of their actions explain their actions on the doorstep at the next General Election given the absolute shambles they made of the last one. Except of course they won’t because why would they stoop to talking to those they consider as no more than the ‘undeserving poor’. Conservatives have chosen to ignore the mums who really – and I’ll no doubt be accused of being sexist in saying it – are taking the brunt of the cuts in household income. It is a pressure and strain that has been made in Downing Street and implemented across the United Kingdom by a Conservative party who have abandoned mums and families to their fate and an increasingly desperate situation. Combined with the Mrs May Government policy of stealing – and yes I would argue that is the correct word to use – six years of already paid for pension amounting to £42,000 each from the women born in the 1950’s the vast majority of who are both mums and grandmothers I can’t help thinking that messing with mums may well end up being another Conservatives ‘Poll Tax’ policy. And look at how that ended up. Except of course it would be wrong not to point out that the ‘mums’ seem to be reluctant to vote which is precisely what the Tories are banking on to keep them in power. But what – just what – would be the outcome if the ‘mums’ across the UK got organised and voted? Which is where the opposition parties are failing.